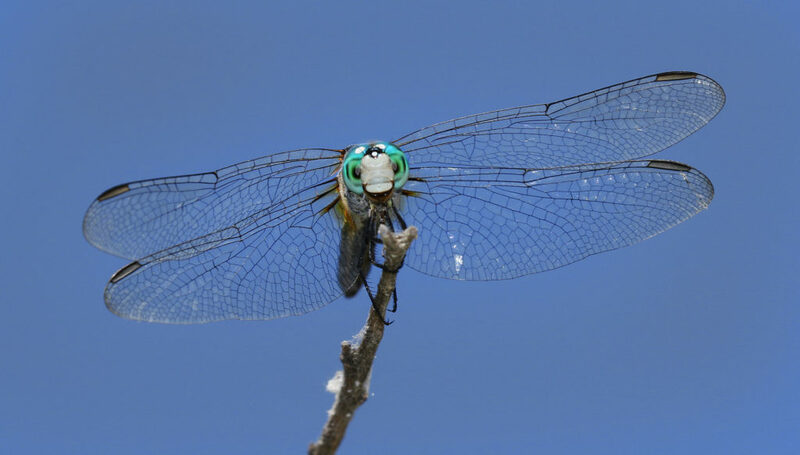 Dragonflies are active mid day. This makes them top lit by the sun and creates a poor lighting situation when photographing the dragonflies from the side. Adding flash erases this issue and fills in light on the dragonfly side. Note that use of a crop body camera like the Canon 7D II (20ish megs) is an advantage in getting your small subject full frame. A high resolution full frame body with plenty of megapixels that leaves room for cropping will work just as well, of course.